If you are 14 years old and dues paying, sash wearing, flap toting member of our lodge consider this your official invitation to apply for a position on the 2016 Winter Camp Staff. Registration through this portal does not guarantee your position on winter camp staff, but you can’t be on the staff if you don’t apply. We have a limited number of staff positions available so sign up today! The deadline for signing up will be November 30 at midnight because all staff are required to attend the December ordeal for winter camp staff training. Terry Witt is holding an Archery Merit Badge Class November 21st, 2016 from 6 to 9pm at the McKinney Range. The scouts can register by sending an e-mail to TerryWitt2@att.net. The Cost is $25. On November 12, Troop 406 welcomes all Webelos dens to our "Webelos Adventure Time". We will be working on three Webelos adventures: "Stronger, Higher, Faster", "Sportsman", and "Scouting Adventure". The event is located at Stonebridge United Methodist Church in McKinney from 9AM until noon. There is no fee for this event, just bring a water bottle! Webelos come meet the Troops. Troops come meet the Webelos. Each Webelos has a big decision to make and they need some help to make it. They need to pick a troop to join. Come make it easy to find where they fit for the Boy Scout Round Table on Thursday, November 5th. To help with that selection we have a Troop Comparison spreadsheet to share. It is for the McKinney Troops for now. The Melissa Annual MB Pow Wow is November 5th and 19th. Classes start at 8 AM and end at Noon on both days. Registration started on October 4th. It ends on November 3rd. It is a free event and it is based on a first come first served basis. Charter Organization Representatives and District Committee Members please stick around after the District Business Meeting for our monthly District Committee Meeting. Venture Committee Leader Specific is cancelled due to lack of registrants. Venture Leader Specific is cancelled due to lack of registrants. Terry Witt is holding an Archery Merit Badge Class October 17th, 2016 from 6 to 9pm at the McKinney Range. The scouts can register by sending an e-mail to TerryWitt2@att.net. The Cost is $25. We always need more youth staff! You can register at www.miki.org. There will also be a Brotherhood ceremony Saturday. Every unit is invited to join the Circle Ten Camp Promotions team on October 8, 2016 for a FREE lunch prepared by Scouters from the OA Arrow Bistro. We will also have a midway of booths from all of our council program committees with information about summer camp, council trainings, and a host of other programs that you may not even know about! Midway opens at 11:00 a.m. Lunch begins at noon. Things will conclude at 1 pm. We want every unit represented so you know about all of the action-packed program offerings and how you can get your unit involved. All of these meetings are at The Church of Jesus Christ of Latter-Day Saints at 2801 Eldorado Parkway, McKinney. Troops come help finish planning WOW. This week is Round Table. We need someone from every unit you there. Click here for a PDF of the flyer shown below. The Cub Scout Round Table will be preparing leaders for the next month. Recruitment / Fundraising / Duty to God. Don't forget that the Order of the Arrow Chapter meeting will be held at the same time. There is also a Webelos Outdoor Weekend (WOW) planning meeting and a CUBe planning meeting both being held at 6:45 pm until 7:30 pm beforehand. at Texas Archery Academy's McKinney Range from 6:00 pm to 9:00 pm. The Cost of the class is $25. Email Terry Witt at TerryWitt2@att.net to register and for more information. Join us at at Towne Lake Park East for a Summer Blast in Scouting. A great way to introduce your friends to scouting. Also a great way for your pack to be seen. Come join us for some activities like pinewood derby, raingutter regatta, bowling, bounce house. See our flyer below and here. This would also be a great service opportunity for older scouts. Lunch purchases are available with advanced reservations through Campmaster. Click here for the flyer with this information. See flyer here. Online registration link. Remember, Honor, Celebrate. Join Carry The Load's vision to restore the true meaning of Memorial Day by connecting Americans to the sacrifices of our military, law enforcement, firefighters and rescue personnel. Calling all kids. Come "Spring into Summer" and learn about the fun things Cub Scouts do. If you weren't able to attend the Lone Star District IOLS, here's another opportunity with North Star District. See their flyer here and register here. The Diocese of Dallas would like to invite all Catholic Scouts to come to their 2016 Boy Scout Retreat at Camp Wisdom on May 13-15. Please set it aside. Activities include shooting sports, team building games, and competitions. We will also have Mass and dinner available. 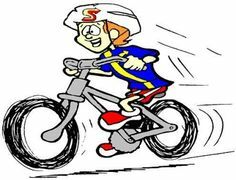 Troop 135 invites all the everyone and especially our Packs to a bike rodeo Saturday, May 14th at Wesley United Methodist Church. There will be professional bike safety checks with Cadence Cyclery of McKinney. Come meet the McKinney Police Department Bike Safety Officers. This coming Thursday's Roundtable is Program Preview. All leaders should attend. This will help each unit plan their calendar for the year. There is also a 6:45 pm Twilight Camp Meeting to turn in forms and money. The Order of the Arrow will also be holding chapter meeting at 7:30 pm as well. Troop 413 has been nominated for Citizen of the Year Award as a group for the City of Melissa. The winner will be announced by the Chamber of Commerce at the Award Banquet at Mingus Winery April 16th at 6 PM. Needed by Troop Scoutmasters, their assistants, Team Coaches, associate coaches, and strongly suggested for Crew Advisors and assistants. Sign up for IOLS here. We have closed registration to this youth training for youth by youth because of high registration numbers. The fall coarse will be available to be signed up for in May. Instructors are from Crew 1881 from Keller. Contact Tony if you are interested. Join us for our monthly Roundtable this Thursday at 7:30 pm. This is for all scout leaders; Packs, Troops, Teams and Crews. Every pack should be represented at this pre-roundtable meeting. It is our first opportunity to turn in any completed registration paperwork & money for camp. Early bird registration ends April 30th. Price: $70 before if coordinators turn in all applicable paperwork in April or $80 afterwards. Remember Twilight Camp is June 6-10, 4:00-8:30 PM at Myers Park. Troops, Teams, and Crews set a side April 8th through 11th for the annual Lone Star District Camporee. Webelos be prepared to come and visit as well. Final planning meeting before Roundtable April 7th at 6:45 pm. All Troops, Teams, and Crews should be represented by an adult and youth. Registration is online now and early registration is for the rest of the month. Signup for the 2016 Pinewood Derby Championship is now active. This is where the fastest of the district race. To qualify for this race, the Scout must place 1st or 2nd in his rank (Tiger, Wolf, Bear, WI, WII) at his pack's derby. If you have a really cool design or exceptional workmanship, your scout may sign up for the design portion of the event. For everybody else who just wants to race, there is the Outlaw race for retired cars, siblings, parents, etc. The rules are a little relaxed for this race. Please signup as soon as possible so the event organizers can organize. Troop 135 is inviting Star Scouts or higher who might be interested to come here Brenda Fee our district Advancement Chairman come train their older Scouts on Eagle Projects and the Eagle Project Workbook. This will happen on Monday, March 28th at 7pm at the Education Building at Wesley UMC (2705 Virginia Pkwy). It is intended for Scouts nearing their project, so it is limited to Star & up. 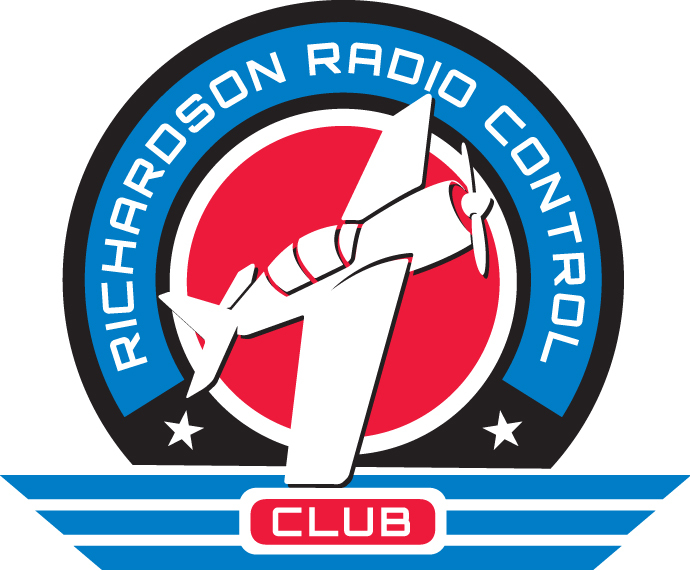 The Richardson RC Club Try RC Day is Saturday, March 19th. This event is to introduce anyone interested in RC aviation to the hobby, and our club. So if you have friends or family members that might be interested in the hobby, please invite them out for the day. The event will start at about 9:00 AM, but guests can come out at any time. Each guest will be registered for a chance to win an electric RC plane, go through a simple ground school, take a turn on a RC simulator, and then actually fly an RC trainer on a buddy box with one of the Richardson RC Club pilots as the instructor. We also provide a free Hot Dog lunch for the participants, and several of our club members will put on a show during lunch, demonstrating all types of RC aircraft models. Come and learn how to make a difference in the lives of our autistic scouts at a free presentation in our neighboring North Star District in Carrolton; 7 to 8:30 pm. Get more information on their flyer here. Have you signed your unit up for camp cards yet? Sign up now so they can have your cards at the Camp Card Kickoff on Tuesday, February 16th at 7 pm. It is at the same place we have Round Table; 2801 Eldorado Pkwy, McKinney, TX. Collection for 2016 is on February 13th. Units can start collecting in the morning but need to have it turned into the food pantry before 2 pm. When food is dropped off at the pantry the food will be counted. Each unit then needs to submit your results by 2 pm by submitting to the form below so all of the results can be reported to the council. McKinney Order of the Arrow we also need your help at the food pantry. Come join us Thursday, February 4th for our monthly first Thursday Round Table meetings. The Cub Scout leaders meet to be given examples and be inspired to have better den and pack meetings. The Boy Scout leaders meet to get ideas for troop meetings and campouts. We even have Venturing and Varsity leaders meeting to improve their high adventures. What we really need is to have you there. All units should be represented to know what the district and council are and can do for you. See you at the Church of Jesus Christ of Latter-Day Saints at 7:30 pm; 2801 Eldorado Pkwy, McKinney, TX each first Thursday of the month. Camporee Planning Meeting - For youth and adults from every troop, team and crew to plan our upcoming Camporee on April 8th. Every unit should be represented. Don't forget that our Order of the Arrow Chapter meets the same night and time as round table. Love to have your youth members there (offer them rides, hint, hint). Is your Crew using the Circle Ten Venturing Web Site? Have a member of your Crew join the Venturing Officers Association to promote and support the Venturing Program on a local basis. Get in on the pre-order opportunities for Venturing merchandise – very cool t-shirts and fleece vests. Have you nominated a member of your crew (Youth or Adult) for the Venturing Leadership Award? Nominations Due Feb. 1st. Registration of $25 has been extended through January 16th. After that you will have to come to the event and do walk-in registration of $40. Some classes will not be available at that point. What a great value for a day of awesome training. It is for adults leaders from Cub Scouts, Boy Scouts, Varsity Scouts, as well as Venturing youth and adults. Registration is now online for the University of Scouting on January 23rd. · Early online registration of $25 has been extended through January 9th. · After January 10th you will have to come to the event and do walk-in registration of $40. This week is Round Table. Come join us to prepare the program for your units. - Leaders needed from every Pack. - Youth & adult leaders needed from every Troop, Team, & Crew. Cost: $15 per person if registered by January 5th. After January 5th the price is $20. Eagles earned in 2015 are free. Early on-line registration is $25 if you register before December 15th. December 15th through January 29th is $30.